Goal to Get Certified in 2015? Start Here! 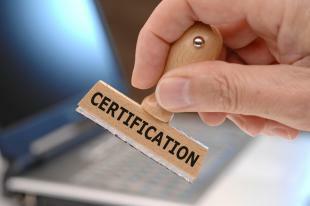 Certification, no matter the field, is a highly desirable achievement. If getting certified in the field of your choice is on your list of resolutions, get started today with OpenSesame. Did you know we offer a variety of certification courses and exam preparation? This week, we’re highlighting sustainability, Linux, and Help Desk Analysts. Working toward certification in any of these? Don’t miss the courses featured below! Preparing for your Help Desk Analyst Certification Exam? Start here! If you’ve already completed your training, this course is the perfect extra prep before the exam. Two timed sample exams of multiple choice questions are included to help you understand the types of questions used and what material will be covered. Ready to ace the CompTIA Linux+ and the Novell Certified Linux Professional certification exams? Don’t miss this interactive course, featuring video modules with incorporated hands-on exercises, quizzes, and a comprehensive final exam with a certificate of completion. Gain the knowledge and skills you need to be a Linux pro! On the road to becoming a Green Consultant? This comprehensive certification program covers many aspects of sustainability, from air quality to energy conservation. Once you successfully complete this course (including the final exam), you’ll gain access to the National Association of Green Specialists website and resources.